Creative studio Trollbäck + Company can now add iphone applications to its list of design services after the launch of their first app called +loop. Developed by Trollbäck + Company digital creative director Stephen Baker, +loop allows users to split their iphone screen into a custom grid of small video players that record and play back motion or still images. Users can choose from the full screen mode to create a juxtaposed video loop or record imagery in individual squares. The grid, frame offset and playback speed can be adjusted to create a wide variety of compositions. Video loops or composed still images can be exported to your iphone photo library. 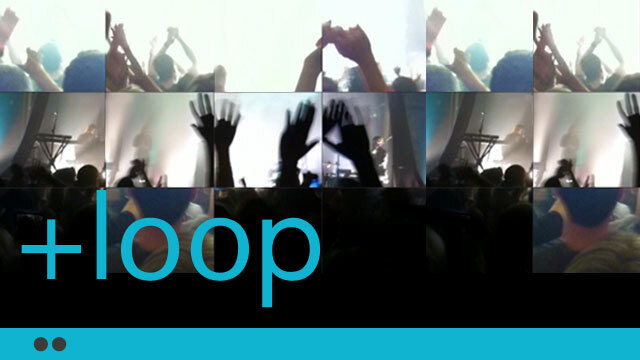 Examples of +loop videos can be found on the Trollbäck + Company Vimeo page. The app is available for $1.99 on itunes. Trollbäck + Company is a creative studio communicating engaging ideas in the simplest, smartest and most visionary ways. Led by executive creative directors Jakob Trollbäck and Joe Wright, the collaborative group directs television commercials, designs film titles, brands networks and creates experience-based content for global brands. Past clients include advertising agencies BBDO, Anomaly, Euro RSCG and Y&R and brands Nike, Jaguar, HBO, ESPN and Target. In addition to receiving a primetime Emmy for the opening title design on Mira Nair’s “Hysterical Blindness,” Trollbäck + Company has been profiled by Apple.com, featured in The New York Times, Creativity, Conde Nast and American Cinematographer and was showcased at the Cooper-Hewitt National Design Museum.